Outdoor solar lighting is a great way to shed some light on your yard or garden. There are many kinds of outdoor solar lighting that would make great additions to your home. 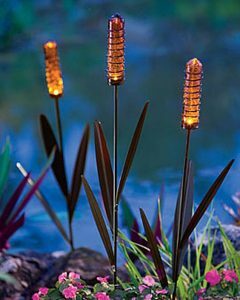 Put some lights in front of your garden so that everyone will be able to see your beautiful flowers. 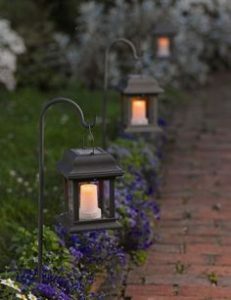 Or maybe you can put some outdoor lighting along your walkway up to your front door for people to follow. Lights around your shed will help you be able to find it more easily. Outdoor solar lighting is easy to install but there are some things you need to consider before you install them. Before we go into how to install outdoor solar lighting, let’s go over what it is. Outdoor solar lighting is any light that is solar powered. Typically, these are small lights that can be stuck directly in the ground with a solar panel on top of it. A solar panel is actually made up of even smaller panels called photovoltaic cells. The photovoltaic cells allow photons, or the particles of sunlight, to push electrons free of atoms. This process creates a flow of electricity. It sounds complicated, and it can be hard to understand but it’s actually a fairly simple process. The electricity that is generated from the solar panel will power the lightbulb and shine light on your beautiful yard. While the sun is shining during the day, the light will store the energy it collects. Then when the sun goes down, the solar powered light will have enough energy to power itself all through the night. There are so many benefits to solar lighting. The very biggest being that it saves money on electricity. You don’t need any additional outdoor lighting that might raise your electric bill. The sun powers your lights, without you having to worry about how much extra money it’s going to cost. 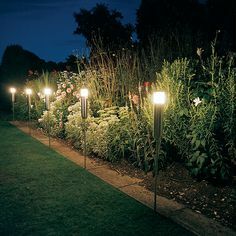 You could fill your entire yard with solar lights and not have to worry about any extra cost, other than the price of purchasing the solar lights. What a wonderful thing! Choose your location. Decide where you want to shed some light during the night and make sure there is enough room for some lighting. There were some ideas previously mentioned of where you could put some lights. More ideas could include around a doghouse, lining the steps of a porch, or outlining your deck. These are all great places! Considerations for your location. There are a couple of things you need to consider before you make the ultimate decision about where your outdoor solar lighting is going to go. The most important thing to think about is if there’s enough sunlight in that location. Under a tree is probably not the best place for a solar powered light. There needs to be a lot of sunlight otherwise your light will not get enough power to run. Also consider if the light will be in the way of anything. Is the light somewhere that it might get backed over by a car? Will people run into it or trip over it? The light needs to be somewhere convenient and out of the way. Find your outdoor solar lights. There are lots of places to get outdoor solar lights. Most home improvement stores will have them. The prices and kinds of lights vary depending on what you’re looking for. Smaller lights will obviously be a lot cheaper than a big light that is supposed to light up your whole yard. 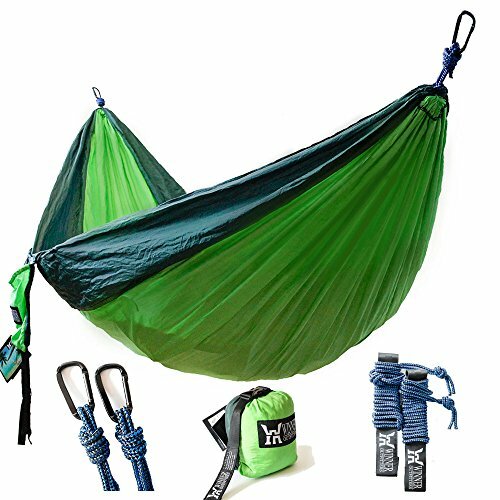 Or you could go the DIY route. Considerations to make. Think about what you want your outdoor solar lighting to look like. 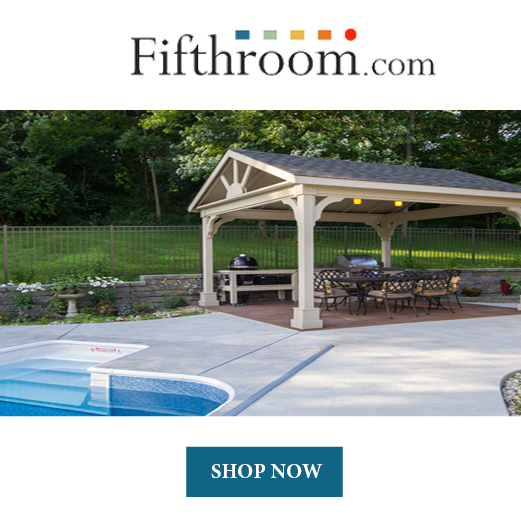 Many different styles are available and will give your yard a lot of different looks. Modern or rustic choices are available, it all depends on your style. 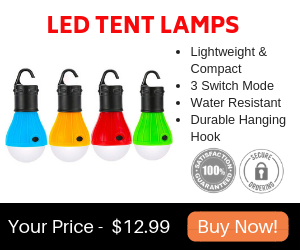 Different styles and sizes will make the prices of the lights vary. Install your lights. Most outdoor solar lights have stakes on the bottom of them to make installation easy. Basically the only thing you need to do is stick the light in the ground at your chosen location. The spacing between each light and how far you push the light into the ground is entirely up to you. Installation is a breeze! Considerations to make. Sometimes it can be hard to push the light into the ground securely. The ground can get really hard and you shouldn’t force the stake into the ground if it’s too hard because the stake might snap off. That would be a terrible waste of a light. The easiest way to get the lights into the ground is to soak the ground with water the before you install it. Soak the ground for about half an hour before you plan on inserting the light. This will soften the ground and the stake will go in much more easily, without the risk of it breaking. Take a look. Look at your work. Are you pleased with the way in turned out? Do you need to adjust the spacing between the lights or move them all together? Are the lights in a place with a lot of sunlight, and out of the way? Wait until it’s dark to really get the full effect of the lights when they turn on. Make any necessary adjustments. Considerations to make. Fully charge your lights to help you decide if you like their placement or not. When they’re fully charged from the sun, it’s easier to get the whole picture with your lights included. Dim and flickering lights won’t look very good when you’re trying to decide if any adjustments need to be made and you might start second guessing your decisions. Installing outdoor solar lighting is not a difficult job to do. In fact, the actual installation is really simple! The hardest part about installing outdoor solar lighting is all the considerations you need to take to make sure it looks good. Don’t worry, if you take it slow it’ll look great. Before you know it, all of your friends and family will be sitting outside with you enjoying your well lit back porch. You’ll be able to tell them that installation was easy and the reason it looks so good is because you took your time and made sure that each light was in the exact right spot. Next time your friends and family want to install some outdoor solar lighting they’ll know exactly who to call to give them some pointers. You’ll be an expert before you know it and you’ll have great looking outdoor solar lighting to prove it.